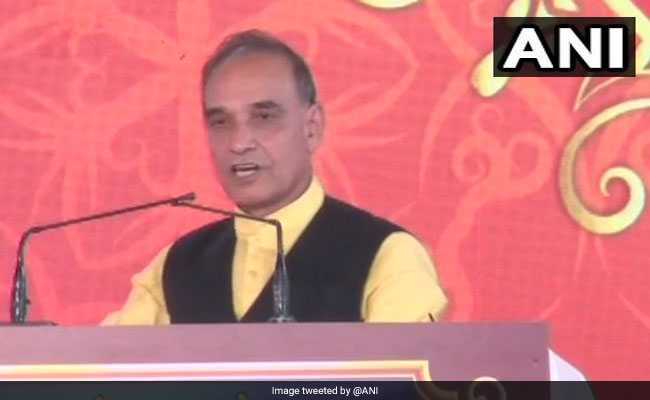 The Centre has instructed the CBSE to discuss about how to remove the disparity between marks awarded to examinees by it and that by various state boards, Union minister Satya Pal Singh said here on Thursday. Citing an example, Mr. Singh said when students of the CBSE and various state boards who seek admission in the under-graduate level of a university furnish their marksheets, it is found that their marks range from 98 per cent to 85 per cent. The university then has to make a comparison between papers of different boards and strike a ratio to arrive at an admission formula, he said. “We have already sent an instruction to the CBSE to discuss with other state boards on the issue,” the union minister of state for human resources development said. The CBSE is now in the process of discussing the issue, he said while interacting with the media on the sidelines of a Merchants’ Chamber of Commerce and Industry programme on education. Mr. Singh, however, maintained awarding marks remained in the domain of school education department of the respective state boards. On the Centre’s move to introduce “no homework policy” for class 1 and 2 students, Singh said “The parents also want the same.” Providing quality education to children remained the priority of the government, the minister said. He said there will be a mandatory 4 week internship with industry in every year of the total semester-based programme in engineering institutes, to impart hands-on training to students. As part of the Centre’s decision to remove social-regional imbalances, it will fund setting up of a central institute in states, he said adding that priority would be given to states with no such facility. The state concerned will provide land and the Centre will provide the funds. “As far as I know, I don’t recall any proposal from the government of West Bengal,” he said to a question. Calling for restructuring of syllabus for education by 2035, the minister said in Harvard/ MIT, curricula are made keeping in mind expected developments in the next 20 years.